One of the strengths of RuggON is to increase the productivity of robust computing solutions through creative, groundbreaking technologies. The PM-522 is an ideal tablet to increase the productivity of employees in applications such as construction, diagnostics or industry. 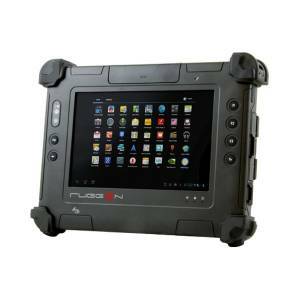 The Rugged Tablet offers enough screen space and computing power for virtually any Windows application, robustness for outdoor use, and extensive options for accessories and add-on modules. 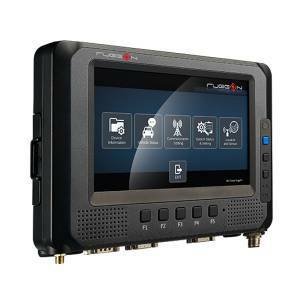 The Ruggon PM-522 features a large 10.4-inch display with 1024x768 XGA resolution and is powered by an Intel Atom E3827 dual-core processor with 1.75 GHz. In terms of connectivity, the PM-522 has a high-speed USB 3.0 port and an additional USB 2.0 port, as well as audio and Ethernet via a USB adapter. For video communication, the Tablet PC has two cameras - a 5 megapixel front camera with LED lighting and a 2 megapixel camera on the back. The integration of optional components presents a challenge to the thin and light design of the PM-522, and RuggON offers a variety of bolt-on modules, such as smart card readers, a GPS combo module, a Mag Stripe Reader module and a 1D/2D barcode reader module. For wireless communication, there is Bluetooth 4.0 Class II, fast 802.11ac WiFi and NFC (Near Field Communication). Optionally, 3G or 4G LTE mobile broadband capability can be available. The gyroscope, the G-sensor, the e-compass complete the offer. The Ruggon PM-522 complies with the 6-foot-drop specification and provides an impressive IP65 seal (total protection against dust, protection from low-pressure water jets), a wide operating temperature range of -20 to +50oC and a variety of others MIL-STD-810G specifications. The Li-Polymer battery and a flat external battery, which can be mounted on the back of the unit, extend battery life by approximately nine hours. The PM-522 is an attractive, modern and robust solution for all types of field data acquisition.